The OnePlus 5 will be launched in India on June 22nd, but that hasn't stopped someone from leaking the price of the device. According to the unverified report, the OnePlus 5 will be priced at Rs. 32,999 in India. That is for the 6GB RAM variant, which has 64GB of storage. There is apparently a higher end variant with 8GB of RAM, and 128GB of storage, and that will supposedly be priced at Rs. 37,999. The prices are not exactly surprising, if they are real, and it is in fact as we have predicted before. OnePlus will be looking to target a similar market as its current device, the OnePlus 3T which retails for Rs. 29,999 for the 6GB RAM/64GB storage variant, while the 6GB RAM and 128GB variant costs Rs. 34,999. Going for a higher price tag such as $600, which some reports mentioned, seems illogical, and will doom the company's sales. So in technical terms, the OnePlus 5 with Rs. 32,999 as the base price, will be the most expensive device, from the Chinese OEM. Of course, you should take this with a pinch of salt, as we await the launch of the phone on June 20th, and the Indian announcement 2 days later, on June 22nd. 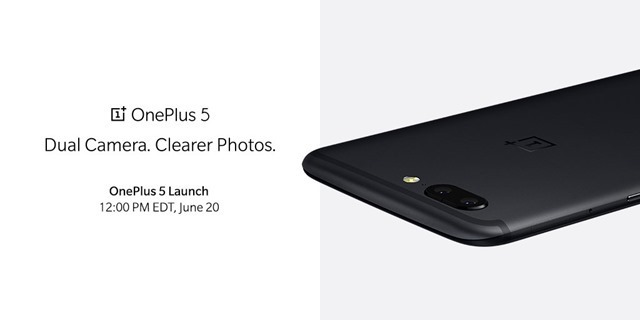 OnePlus 5 India price leaked ahead of June 22nd launch.